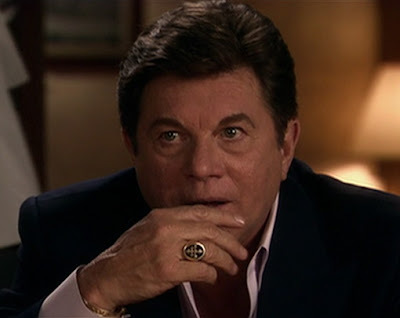 10) The Cross of Lorraine ring worn by Magnum P.I. and his 'Nam buddies. 9) The Thing Rings. Maybe the Thing cartoon was lame, but a set of rings that can turn you into the world's coolest rock monster? Priceless. 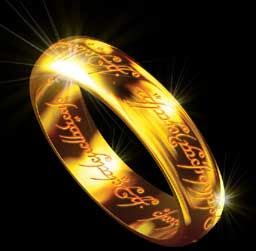 8) This one ring made by some evil dude. 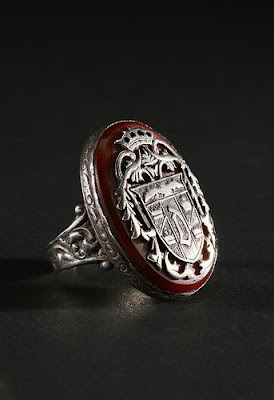 7) The Scarlet Pimpernel's Ring. You have to be a pretty badass swordman to pick a cute little flower as your emblem. 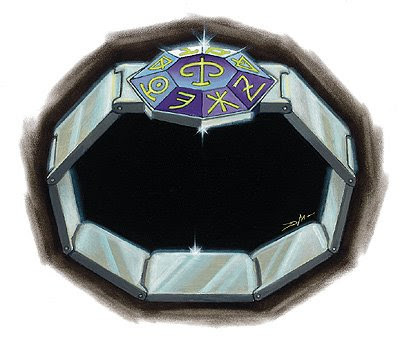 6) The Ring of Gaxx. It's okay. Gary sent us. 5) The Phantom's Skull Ring. I'm not a huge Phantom fan but a ring with a skull on it is a classic. 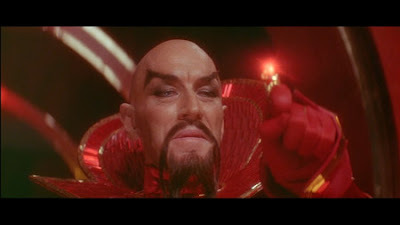 3) The Mandarin's Rings. 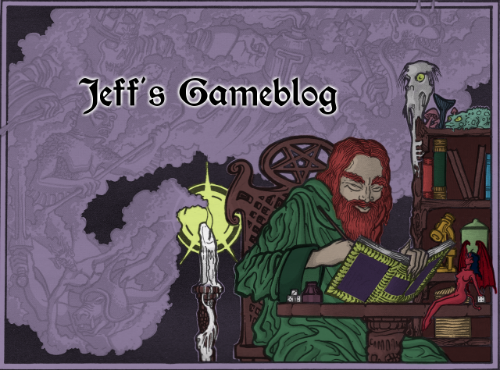 Not only does each one zap you with a different laser beam, but in classic D&D fashion the Mandarin swiped them off of a corpse. Of a space dragon. 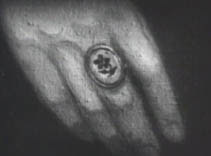 2) Dracula's Ring. You know this is legit when both Bela Lugosi and Christopher Lee wore a version of this baby. Magnum, p.i. is always awesome. The best thing about the Phantom's rings is that he wore two, and he used both to mark people when he punched them. One of them was to mark enemies of the Phantom, and the other was to mark friends. I've always loved the idea of a superhero who punches his allies and henchmen and leaves a scar as a sign of his loyalty to them! I've never seen Sauron hide in the Anti-Matter universe of Qward. Honorable mention: The Shadow's Girasol. Used it to hypnotise bad guys, and under the gem there was a compartment containing the mysterious sign of Chow Lee. Still, I do understand the nature of these things, and that choices must be made. I'll just nip off to the corner and cry now. * Even if you're skewing the results post-modern 80s retro-kistch, Secret Decoder Rings qualify big-time, since they're basically a myth about the radio era that started taking on hazy retro-reality in the 60s and finally crystallized into permanent mythological status in the 80s with "A Christmas Story" and the Little Orphan Annie Secret Decoder Ring. True story: I almost cut Sauron's ring to add the Christmas Story secret decoder. 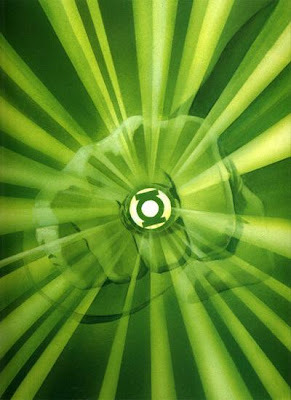 As the biggest Green Lantern fan on the sector (2814 to be exact), I couldn't agree more with your assessment. Rings with various levels of power...and you have to know which one stands for what. Great list, though on my own list Darth Helmut's nut-busting ring might displace Sauron's. I can't believe someone besides me remember the Thing's rings. You probably watched the Godzilla cartoon on Saturday mornings, too, huh? 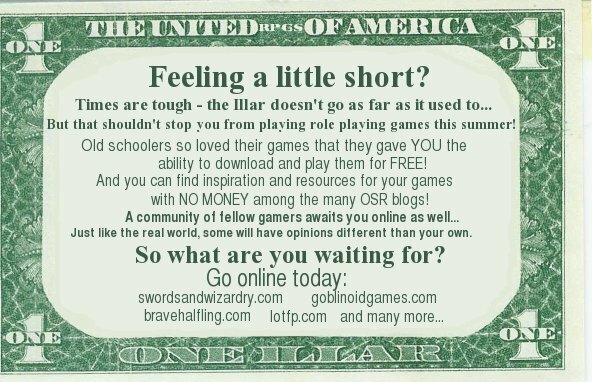 * É possível ficar full sem doar, pois se pode fabricar coin donator fazendo quests! *Coin system: Troque seu tempo de jogo por coins! Tenha tudo do melhor por trocar seu tempo de jogo por coins no site!! É um servidor fantástico: Se você procurava por diversão ja encontrou o servidor! Veja as imagens na seção "Como é o L2GP" e entenda por que tantas pessoas falam do l2gp e não trocam por nada esse servidor! Servidor totalmente sem custom. Limpo! 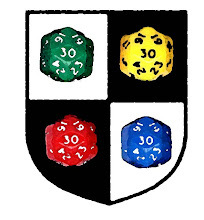 Se quer jogar no servidor oficial sem pagar é aqui. * Neste servidor só tem doação para adena e level do char. Nada mais. * Skills Lvl 81,82,83 e 84. 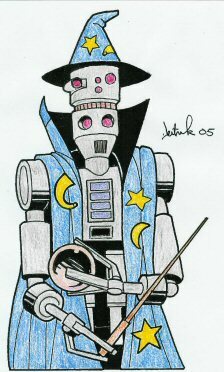 * Vesper Armadura, Armas, Jóias e Acessórios! * Últimos updates do oficial americano. * E muito mais. Confira! Não Perca tempo e faça seu cadastro hoje mesmo! Oh man, how could you not mention Underdog's Ring! When he was feeling down and needed a little pep he just popped the pill from his ring and could whip a herd of whales with one paw. Hey Jeff, this is an excellent top ten list. Thank you for not putting the LOTR ring as #1, overrated. 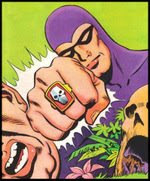 I like your pick of The Phantom's Skull ring, one of the best comics ever. You can cross-post this to our site http://www.toptentopten.com/ and link back to your site. We are trying to create a directory for top ten lists where people can find your site. The coolest feature is you can let other people vote on the rankings of your list.